Sometimes parents of beginning readers wonder if their child is on track with reading. They don't understand why their child can't read a word today they were able to read yesterday. They think their child reads too slowly. They grumble that their child only wants to read the same book over and over again. Most beginning readers are inconsistent. They may know a word one day but not the next. They may read a particular word correctly on one page, but they have to stop and sound it out again on the next page. When you listen to a beginning reader, you hear short, choppy words with little attention to punctuation. Sometimes a new reader can tell you very little about what they just read. At the beginning stage of reading, all of these reading behaviors are to be expected. Beginning readers are building their fluency. This means they're working to make several skills, like matching a letter to a sound and decoding, more smooth, accurate and automatic. Without fluency, each word must be decoded, and that takes time and energy. This means that other reading behaviors like reading with expression and comprehension have less of a focus. Give them time to read. Reading is a skill, and like many other skills, it takes time to develop. A beginning reader should spend at least 20 minutes a day reading to or with someone. 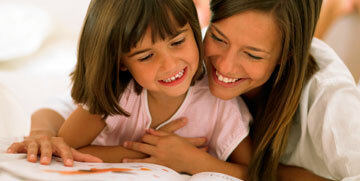 The books read during this time should be relatively easy for your child. To learn more about reading with your child, see our Reading Tips for Parents (babies to third graders) in 11 languages! If a word cannot be sounded out, and you don't just want to supply the word but instead you want to help your child learn how to read unknown words, talk to your teacher. Ask your teacher to share with you the word accuracy strategies used to coach emerging readers in school so you can reinforce what they are learning. I would like to know how much a child can learn from this program within a months time and will they be able to read well enough not to be helped a little bit.